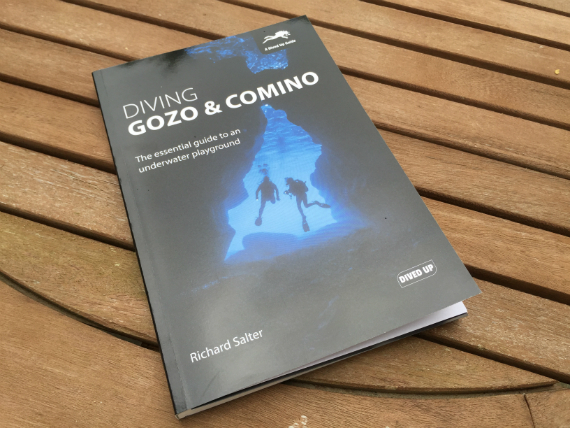 The latest guide to Gozo from Dived Up Publications does for the underwater realm what Lonely Planet does for city breaks. That’s because it’s more than a mere compilation of maps: it’s a 176-page full-colour guidebook with history and tourist info thrown in for good measure. Author Richard Salter knows the Maltese island of Gozo better than anyone: he has lived and worked there for many years, and was prompted to compile a reference manual after discovering that documentation was thin on the ground. His new book ‘Diving Gozo and Comino’ is an impressive collection of guides to sites all around the islands of Gozo and its tiny uninhabited sibling. 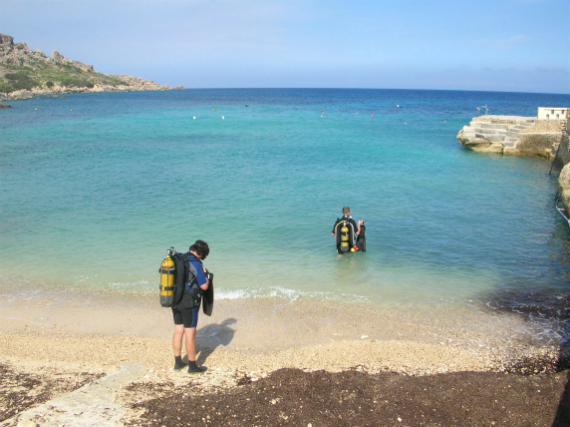 Malta may be a popular destination for technical divers in particular, drawn to its deep wrecks – but Comino and Gozo attract those seeking a more leisurely kind of scuba holiday. Shore diving is the Gozonian way, and Richard crams his book with everything you need to hit the ground with your jeep engine running. 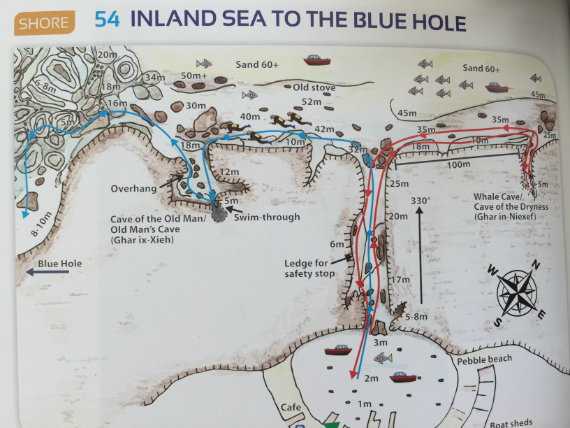 Most useful of all, of course, are the detailed full-colour photographs and accompanying maps of each site. 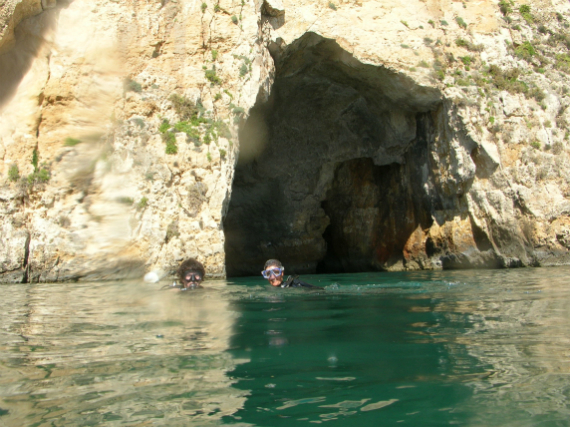 Gozo is quite sparsely populated in places, and Richard wisely presents a group of dive sites in the context of the nearest town or village. When the site is in the back of beyond, the reader is given full instructions on how to access the water, what facilities might be there (often none), and where the nearest phone or help might be found. Speaking from experience, most dirt tracks on Gozo look the same so a book full of directions in English would’ve been a godsend. All the popular sites are included, such as the MV Karwela, Inland Sea and Blue Hole. The only site missing is the Azure Window, an iconic limestone arch that sadly collapsed into the sea in March 2017, just as the book was being finalised. Bearings, points of interest, expected marine life and difficulty ratings are all here. Richard has thoughtfully included a reference section too with a list of diving centres (for air fills), Maltese regulations and weather reminders. There’s a comprehensive list of phrases too for those keen to give the Maltese lingo a try. Hell, all that’s missing is a recipe for the traditional rabbit stew.